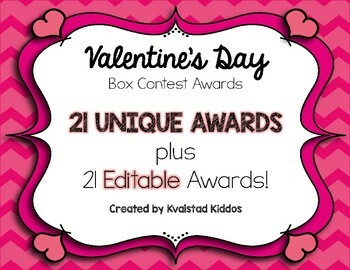 These editable Valentine's Day Box Awards Certificates will make a Valentine's Day Box Contest so much more fun! 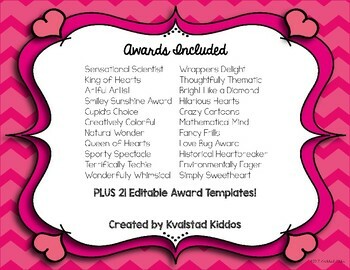 This pack includes 21 uniquely colorful awards for your children's boxes. 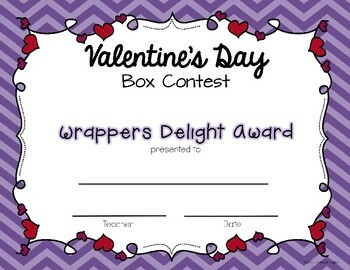 Just print, sign and date, and you're ready to go!